Pickowicz began his life and career as the underdog. He came from an immigrant family; his mother’s family escaped from the Irish Potato Famine, and his father’s family came from Ukraine on the eve of World War I. Of his parents and four siblings, Pickowicz was the first and only one to graduate with a college degree. “I didn’t get any advice from my parents, they just didn’t know what to tell me … I never visited any of the schools … but I ended up going to a small college in Western Massachusetts. I did my B.A. degree there, and I thought I was going to be a star athlete there, but it didn’t work out,” he said with a small chuckle. Going on the trip, Pickowicz felt as if his eyes were opened to the world. Travel exposed him not only to other cultures and peoples, but also to books and learning. Paul found himself in an age of discovery, one that eventually led to his interest in China. It was 1966 and the topic of every newspaper and radio broadcast was the Cultural Revolution (the movement that purged all capitalist elements and promoted Communism) in China. China was the center of the world’s attention yet, like North Korea today — completely shadowed in secrecy. This only spurred his interest further. Pickowicz went on to get his masters degree at Tufts University and his Ph.D. from the University of Wisconsin, where he worked on his dissertation, which focused on Chinese Communist leader Qu Qiubai. Research for his dissertation led him to travel all over Asia, beginning in Japan, then to Taiwan and then for a full year to Hong Kong. However, information on the subject of his dissertation, China, could still only be found in books. Pickowicz wouldn’t give up. 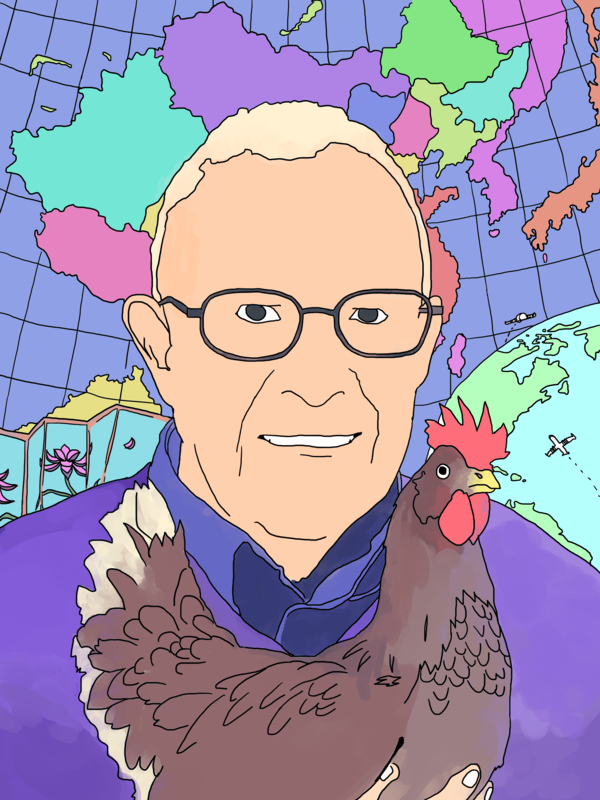 He gathered a group of graduate students all yearning to see the untouched country and put together a letter to the Chinese government asking for access into their country. To their great surprise, the Chinese government consented. In 1971, Pickowicz became part of the first American student delegation to visit China. 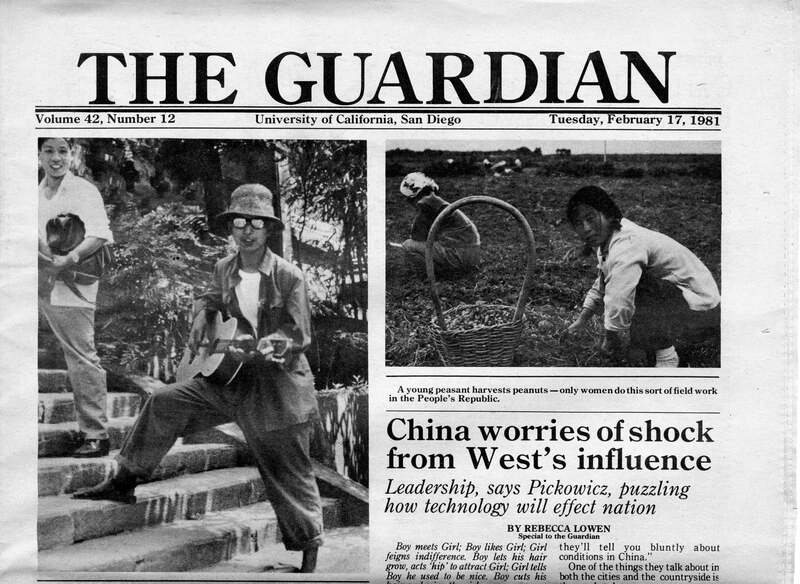 Pickowicz’s trip to China was featured in this 1981 issue of the UCSD Guardian. Still, it wasn’t until 1978 that Pickowicz was able to make a real breakthrough in his studies. With the close of the Cultural Revolution and Mao’s death came the idea of opening up China to the outside world. It was a time when letting the truth come out was not viewed negatively but instead positively. Seizing the opportunity, Pickowicz put forth a proposal to do some field research in an outlying village. For the second time, Pickowicz was the very first to receive a “go-ahead” from the Chinese government for his project. 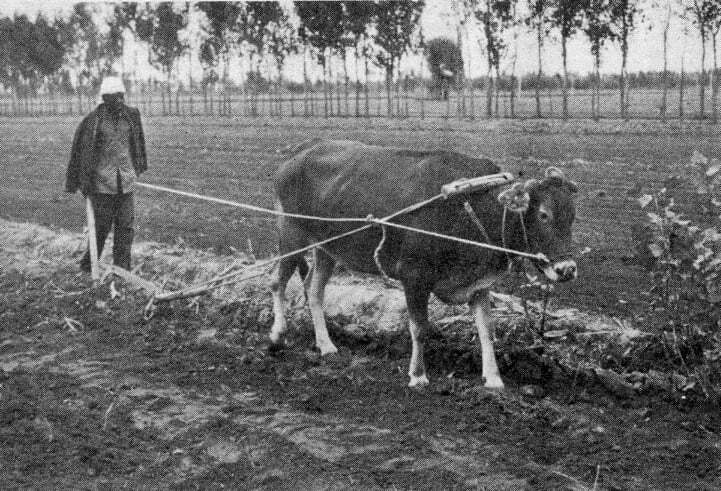 A farmer in Wugong, the village Pickowicz studied. Fast forward 20 years and Pickowicz wrote two books on this one village and its history. One of his books, “Chinese Village, Socialist State,” was awarded the Joseph R. Levenson Prize of the Association for Asian Studies in 1993 and became immensely popular among the rural society of China. Alongside this project, Paul worked on a separate project — one completely different from the realistic scenes of village life. It involved the world of fiction — the world of film. In 1982, Pickowicz got a grant from the Chinese government and, in another first, gained access to film archive of China. Slowly, he was able to collect his own archive of videos, which he used to set up a class here at UC San Diego. Being a professor here, Pickowicz wanted to use this class to encourage students to probe cultural and social history. This class was revolutionary. Because of the lack of knowledge on the subject, broke ground and gained a huge response from the student body. In fact, it garnered so much attention that Pickowicz got invitations from schools around the world — as far away as Germany, Scotland and China — to teach it. However, knowledge of Chinese film is not the only thing that Pickowicz wished to impart upon his students. Several years have passed since Pickowicz last sat in the back of a lecture hall — he can no longer maintain the “low-profile” status within the classroom that he once held. In his journey of 30-something steps from the back to the front of the lecture hall he has opened his eyes to the world around him and found a new appreciation for people’s differences. Paul Pickowicz: news junkie, travel bug and explorer is not the same as he once was. But maybe that’s okay.